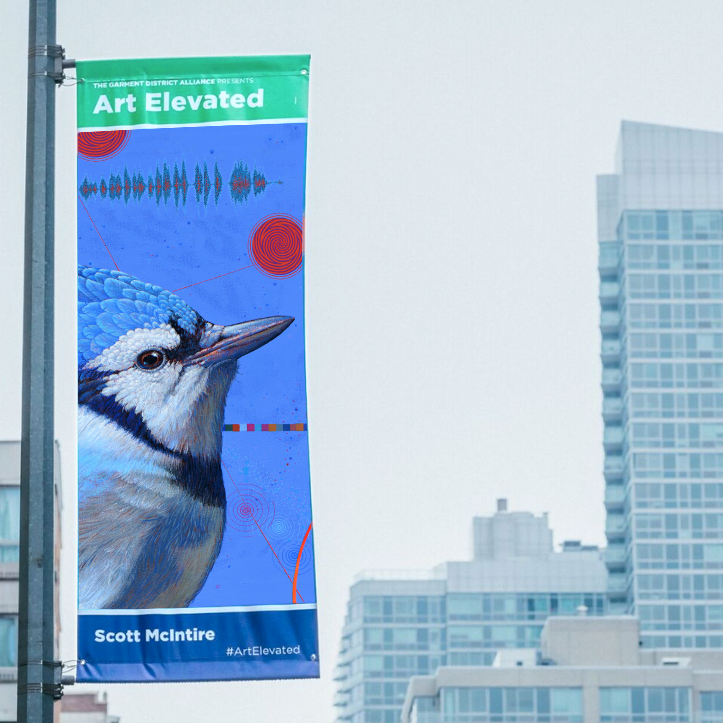 ART ELEVATED, My banner is one of 90 art banners hanging in the NYC Garment District. Sept 12 to Oct 31, 2018. Find mine on 37th St just off 8thAve.